PERM — The Open Innovations Startup Tour 2018 began its journey across Russia to promote tech entrepreneurship on Tuesday, holding its first event of the year in the Urals city of Perm. Maxim Reshetnikov, governor of the Perm region, addresses the audience at the opening of Startup Tour. Photo: Sk.ru. This is the Startup Tour’s second visit to Perm, a centre of the oil and gas industry, as well as of chemical engineering, electrical energy, machine-building and IT. Investors and experts last visited the city of about 1 million people during the 2014 Startup Tour. 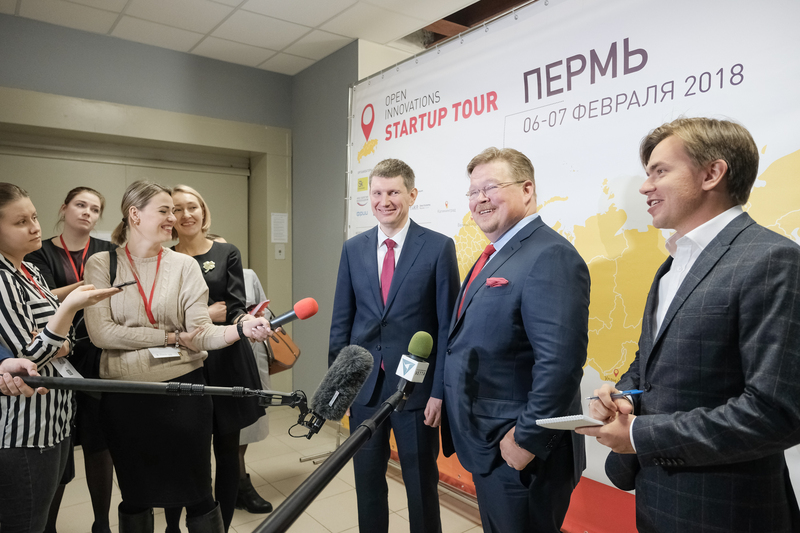 “It’s very important to us that the main theme of the Startup Tour this year is the digital economy, industrial tech and biotech: spheres in which the Perm region is traditionally strong, in which we have something to show,” said Maxim Reshetnikov, governor of the Perm region. More than 14,000 people currently work in the region’s IT sector, said the governor, describing it as a major part of the economy. “The IT sector is estimated to make up a third of the defense industry cluster, which as you know is very strong in this region,” he told the audience of entrepreneurs, scientists and investors gathered at the Technopark Perm on Tuesday. The region’s IT sector continues to grow, and its authorities are “not afraid of producing an excess of IT specialists,” said Reshetnikov. Although it is gratifying — and a tribute to the region’s educational institutions — to see that Perm specialists are in demand even on the country’s most competitive market, the region would really like its top specialists to stay in their home region and develop their potential here, said the governor. To this end, for the last year the regional government has been working on formulating and putting into practice extra support measures for the IT cluster. “We’d like them to stay here as far as possible,” said Reshetnikov. Reshetnikov and the Skolkovo Foundation's Pekka Viljakainen (centre) talk to the media after the opening. Photo: Sk.ru. And this is the point of the Startup Tour, said Pekka Viljakainen, a Finnish advisor to Skolkovo Foundation president Victor Vekselberg and the driving force behind the Startup Tour, which has been held since 2011. “We are here to make sure it is a good place for companies to grow, and make a good living and do business here,” said Viljakainen, a successful entrepreneur and business angel. “Russia needs new jobs, and new jobs are no longer generated by big factories and big infrastructure projects … All over the world, new jobs are being created by small and medium-sized companies. So no pressure, but I want to say that it’s actually your job to ensure that new jobs are generated,” he told the packed room at the Technopark Perm, which was set up to help develop projects working in blockchain, robotics, virtual reality and artificial intelligence. "OIST was established to find the best tech companies all over Russia — and to guarantee that they have a place to run their business in their home region” - Pekka Viljakainen. Technopark Perm’s director, Vladimir Balandin, said his organisation works closely with other technoparks across Russia, including from Skolkovo, with whom Technopark Perm is in discussion regarding setting up a regional Skolkovo office, he said. He urged the entrepreneurs present at OIST on Tuesday to return to Technopark Perm once the Startup Tour event is over. “We will look for opportunities to help you and promote you, and find ways to help you grow,” said Balandin. The second day of the programme in Perm will as usual include a competition for startups in three categories: IT, industrial technologies and biotech, and this year will also see the selection of the best projects led by women. The winners of each category will be awarded tickets to the Startup Village, a giant conference for entrepreneurs and investors at Skolkovo that this year will take place on May 31-June 1. Important as the competition element of the Startup Tour may be, it is not the main point of the event, said Viljakainen. 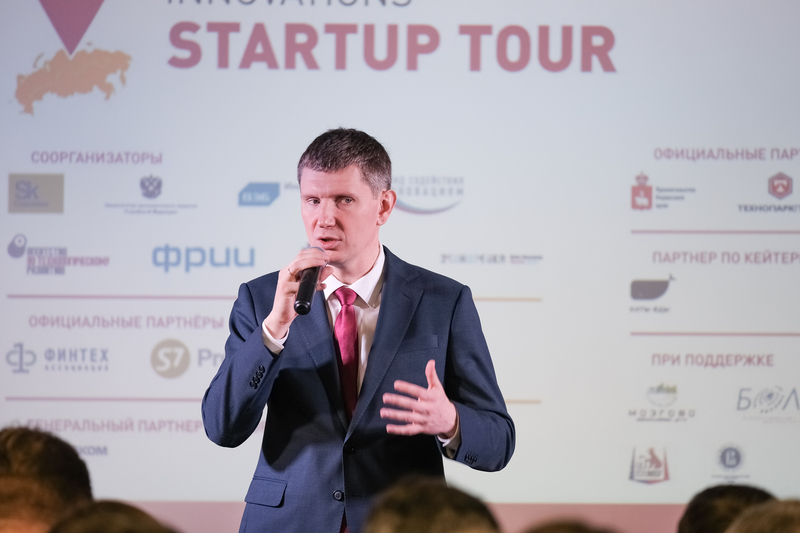 “My strongest expectations for anybody joining a big or small startup event — Startup Tour, Startup Village or anything — is to learn from others; this is the main purpose,” he told Sk.ru ahead of the Startup Tour opening in Perm. “People are very motivated to talk about their own project, to pitch it, try to search for investors and so forth, but at the same time, anybody joining the Startup Tour or Startup Village or any event should have their eyes open, and learn from others: the good things, but also the mistakes of others. Only by doing that can you prepare yourself for entrepreneurship,” said Viljakainen.